Choum Reap Sour (Sour Sdey)! Cambodia is officially known as the Kingdom of Cambodia and is located in the south of the Indochina Peninsula and in the heart of Southeast Asia, making it a natural gateway to Laos, Thailand, Indochina, Myanmar, and Vietnam. Its shape and geography divide it into four natural regions: the mountains and forests in the North, the vast rice fields of the Central Plains, the semi-arid farm lands of the Northeast plateau, and the tropical islands and long coastline of the peninsula in the South. After many years of isolation and civil war, Cambodia opened to tourists in the mid-1990s and the country now receives around 5 thousands tourists per year. Cambodia’s primary tourist destinations are Angkor Wat and the other temples of Angkor near Siem Reap, Phnom Penh, and the beaches of Sihanoukville. Other new destinations such as the hill tribe areas of Ratanakiri and Mondulkiri, the remote temples of Preah Vihear and Banteay Chhmar, and quaint provincial capitals such as Battambang, Kampot, and Kep, are just now being discovered by travelers, and all offer the unique experience of ‘unspoiled’ Cambodia. The beauty of Cambodia is that the country continues to evolve without diluting its nature and cultural heritage, making it a great destination for ecological and cultural tourism. 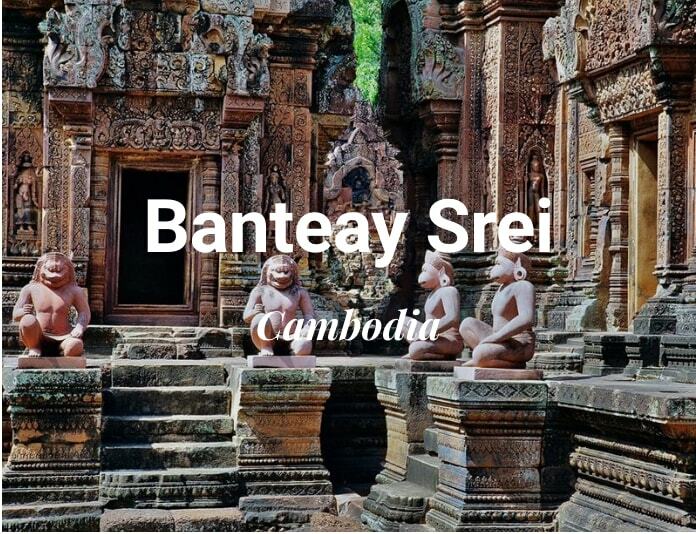 Travel to Cambodia is spreading beyond popular Siem Reap and we see a huge increase in ecotourism and adventure travel in the more remote areas of the country. With approximately 16 million speakers, it is the second most widely spoken Austroasiatic language (after Vietnamese). Khmer has been influenced considerably by Sanskrit and Pali, especially in the royal and religious registers, through Hinduism and Buddhism. French is one of the important foreign languages spoken in the country. 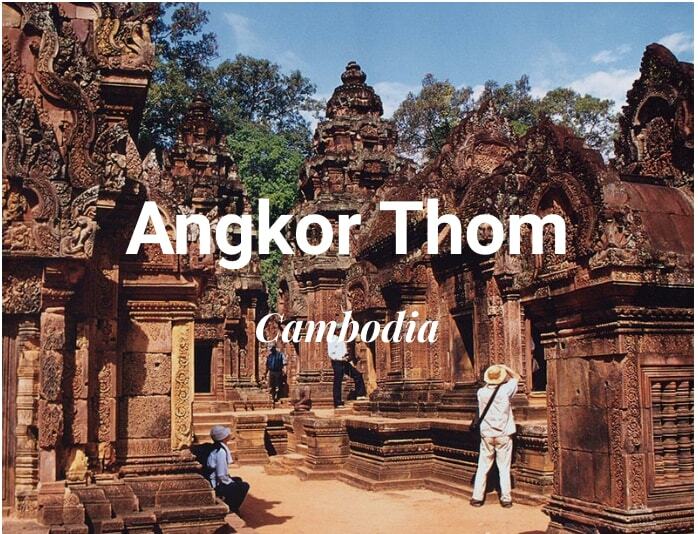 The language was at one time the official language in Indochina and today, a number of older Cambodians speak French. English replaced French since 1993. Currently, street signs in the country are usually bilingual, written in both the Khmer language as well as English. The Cambodian riel and US dollar are both official currencies, with the riel only used for small transactions (i.e. below $5). ATMs will generally only dispense US dollars, though some are loaded with both currencies. They generally charge $3-5 per withdrawal, but Canadian Bank and Mekong Bank are fee free. ATMs are common throughout the country with a surprising penetration even into backwater towns, though if in doubt, stock up before a trip into the wild. ATMs are spreading far beyond the main cities. Some vaccines are recommended for Cambodia. The CDC and WHO recommend the following vaccines for Cambodia: typhoid, hepatitis A, hepatitis B, cholera, rabies, Japanese encephalitis, and influenza. Cambodia uses the GSM mobile system and Mobitel is the largest operator, and pre-paid SIM cards are widely available (from US$1). Internet cafes are cheap (US$0.50-US$1/hour) and common, even small towns will have at least one offering broadband. WiFi is increasingly popular, with signals available in not just in coffee shops but also fast food restaurants, bars, and even gas stations. When shopping, be sure to look for businesses that display the Heritage Friendly business logo. Heritage Watch has launched a campaign that aims to encourage support for Cambodia’s arts, culture, heritage, and development. Businesses that are giving back to the community are certified as Heritage Friendly by the independent organization and permitted to display either a gold or silver Heritage Friendly logo. Look for the logo to ensure that you are supporting socially responsible corporate citizens! What to bring from Cambodia? Cambodia has a rich silk-weaving history, with evidence found on some of the etchings that adorn the walls of Angkor Wat. However, recent history led to the ancient art teetering on the brink of extinction. Another popular thing to bring from Cambodia are stone and wood cavings. You can also shop for silverware, jewellery, or, lacquerware. And last but not least, it is said that you cannot leave Cambodia without a pouch of Kampot pepper in your suitcase. Used by top chefs in kitchens across the globe, the premium pepper is organically grown in Kampot – where the soil is super fertile – in green, black, white and red varieties. In Cambodia the standard voltage is 230 V and the frequency is 50 Hz. You can use your electric appliances in Cambodia, if the standard voltage in your country is in between 220 – 240 V (as is in the UK, Europe, Australia and most of Asia and Africa). Cambodia is a country at a crossroads. While the more heavily touristic places like Phnom Penh and Siem Reap are well adjusted to tourist behavior, people in places such as Stung Treng or Banlung are less so. Dress for women is more conservative in Cambodia. While shorts are now acceptable in Phnom Penh and Siem Reap, it is more respectful to wear knee length shorts or trousers when outside of these areas. The Khmer Rouge issue is a very delicate one, and one which Cambodians generally prefer not to talk about. Always ask permission before you take somebody’s picture, as many in the more remote areas do not like to be photographed, and some in the urban areas will ask for payment. There are four annual seasons: cool and dry between November and February; hot and dry between March and May; hot and wet between June and August; and cool and wet between September and early November. The best time to visit is the cool season when the weather usually benefits from a pleasant dry heat and the countryside is still green from the rains. As February turns into March, the heat begins to build until April and May, when it can be quite oppressive and uncomfortable. In May and June, the rains come and bring a measure of relief. It rarely rains all day, and mostly it will rain for an hour or two in the afternoon or evening. By early September, the heat begins to dissipate and the evenings are cooler. Through October, the frequency of the showers slows and the humidity starts to lower. Although the wet season is low season for tourism throughout most of the region, visiting at that time does have its advantages. It is when the Angkor complex is at its most beautiful, the vegetation is lush, and the crowds are relatively thin. WHAT TO PACK TO CAMBODIA? 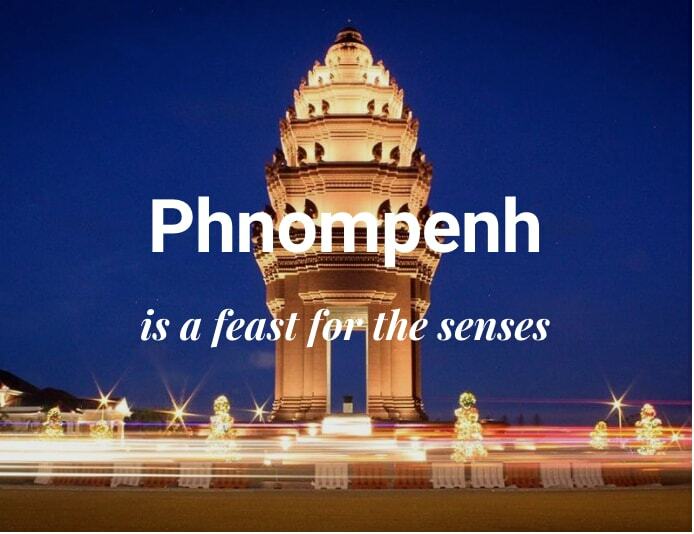 WHAT TYPE OF HOLIDAYS IN CAMBODIA? Incomparable temples of Angkor Wat where you will find a massive complex and see the biggest temple and religious structure in the world. To experience Angkor Wat first hand you may opt for a guided tour to experience the temples on a old vintage Citroen, with balloon flight and or more luxurious on a helicopter flight that will give you an ultimate view over the vast area. 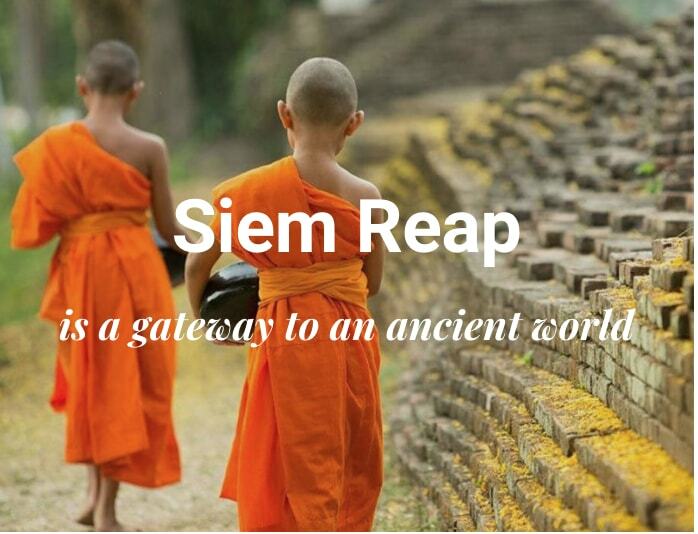 Apart from the most famous site of Angkor Complex, it is not just the temples that make Siem Reap attractive. You can also visit the tonle Sap lake with its floating villages, where you can explore the traditional khmer way of life or the National Park of preak tuol where you can find unique birds. Siem Reap province is located in northwest Cambodia. it is the major tourist hub in Cambodia, as it is the gateway to the world famous temples of Angkor, a sprawling World heritage-listed complex of ancient temples with the magnificent Angkor Wat as the focal point. Annually, more than one million visitors travel through the small city to see the adjacent Angkor ruins. In Cambodia’s Coast, Cambodia Beaches in Sihanoukville,an islands such as Koh Rong or Koh Rong Samloem are a great way of ending your Cambodia Holidays on the beach. A Luxury Mekong River Cruise is one of the best Luxury Holiday cruises you can experience in Cambodia. For real luxury and relaxation, The Song Saa Private Island in Sihanoukville or the Sofitel Phnom Penh Phokeethra are two amazing options if you want to enjoy privacy and confort. For people that travel with an emphasis on sustainable tourism, you have the amazing Ecolodge 4 Rivers Floating Lodge with its luxurious individual tents. The remote resort can also be reached from Thailand’s Khlong Yai and Koh Chang. While not as varied as food from neighboring Malaysia, Thailand, or Vietnam, Khmer food is tasty and cheap and is invariably accompanied by rice (or occasionally noodles). And unlike their Thai and Lao neighbors, Cambodians generally do not have a taste for spicy hot food, and black pepper is the preferred choice in cooking instead of chili peppers which are usually served on the side. Thai and Vietnamese influences can be noted in Khmer food, although Cambodians love a stronger sour taste in their dishes. The addition of prahok, the famous Khmer fish paste, is ubiquitous in Khmer cooking (although for most foreigners this is most definitely an acquired taste!). In addition to Khmer food, there is a large number of Indian and Chinese restaurants, especially in Phnom Penh and large provincial centers. What are the most popular dishes in Cambodia? Amok – Arguably the most well known Cambodian dish. A coconut milk curried dish less spicy than those found in Thailand. Amok is usually made with chicken, fish, or shrimp, plus some vegetables. It is sometimes served in a hollowed-out coconut with rice on the side. K’tieu (Kuytheav) – A noodle soup generally served for breakfast. It can be made with pork, beef or seafood. Flavorings are added to the customers taste in the form of lime juice, chili powder, sugar and fish sauce. Somlah Machou Khmae – A sweet and sour soup made with pineapple, tomatoes, and fish. Bai Sarch Ch’rouk – Another breakfast staple. rice (bai) with pork meat (sarch chrouk) often barbequed. Very tasty and served with pickled vegetables. Lok lak – Chopped up beefsteak cooked quickly. Probably a holdover from the days of French colonization. Served with a simple dipping sauce made from lime juice and black pepper, lettuce, onion, and often with chips. Mi / Bai Chaa – Fried noodles or rice. Never particularly inspiring, but a good traveler’s staple. Trey Ch’ien Chou ‘Ayme – Trey (fish) fried with a sweet chili sauce and vegetables. Chou ‘ayme is the phrase for “sweet and sour”. K’dam – Crab. Kampot in the south is famous for its crab cooked in locally sourced black pepper. Don’t forget Khmer desserts – Pong Aime (sweets). These are available from stalls in most Khmer towns and can be excellent. Choose from a variety of sweetmeats and have them served with ice, condensed milk, and sugar water. A must try is the Tuk-a-loc, a blended drink of fruits, raw egg, sweetened condensed milk, and ice. The phenomenal ruins of Angkor Wat may be reason enough to visit Cambodia. However, there’s much more to this friendly, energetic country. The capital of Phnom Penh is brimming in history, both ancient and modern, and provides important background to the country. The gateway to the Angkor temple complex, Siem Reap, with its French colonial architecture, has an infectiously chilled atmosphere and a vibrant food scene. But, what people don’t always know, is the fantastic off-the-beaten-path-beach opportunities there is in the South of Cambodia. Along the Gulf of Thailand, lie a few of Southeast Asia’s most unspoiled beaches where you will have time to really relax and enjoy. You could the island of Koh Rong Samloem for example, with nice bungalow beach resorts. In addition, there are plenty of aquatic activities to do there. Moreover, a very unique and stylish way to discover Cambodia is to cruise along the waterways of the mighty Mekong Delta. Visit Cambodia in luxury and style with Asia Master Tours. We’ll create a bespoke itinerary around your interests, preferences and needs, with the best in luxury accommodation and private, expert-led tours. Get inspired by browsing through some of our most popular example trips below. Then contact one of our expert to start planning the journey of a lifetime.